While Architects' next album is called All of Our Gods Have Abandoned Us, the UK metalcore deities make their return this spring. Better yet, they've also announced that they'll be heading overseas for a full North American tour, which kicks off later this summer. 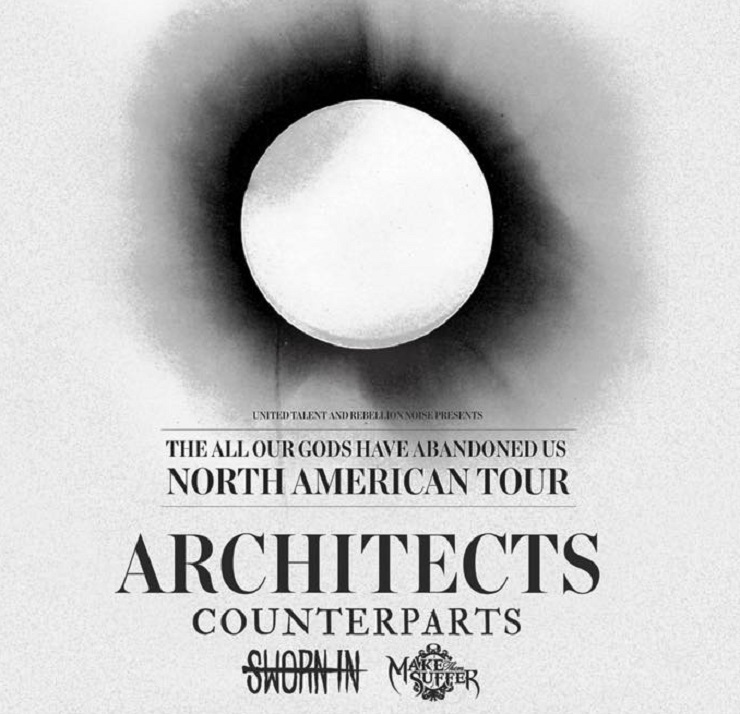 UPDATE (06/17, 12:29 p.m.): Architects have announced the upcoming North American trek has been cancelled due to a family emergency. "The band would like to ask that you respect their privacy during this difficult time," a statement from the group read. Refunds will be given at point of purchase. The band's show schedule was revealed over Facebook today (April 27), with it being explained that the "All Our Gods Have Abandoned Us North American Tour" begins at Montreal's Club Soda on July 8. From there, they'll make it to Toronto and London, ON, before dipping down into the U.S. for the rest of the trip. Coming along for the ride will be Hamilton's Counterparts, Sworn In, and Make Suffer. You'll find all of the date details down below. As previously reported, Architects' All of Our Gods Have Abandoned Us arrives May 27 through Epitaph Records/UNFD/New Damage. It's the band's first full-length release since 2014's Lost Forever // Lost Together.